Sobran las palabras... te debo un ARKcast. Nuestro amigo Dynooo, increíble productor belga y una de las cabezas tras sello de hip hop DIY deconstructivista Surf Kill realiza en este Arkcast un homenaje a No Limit Records, uno de los sellos clave en la popularización del gangsta rap sureño y las portadas con abigarrados collages de filtros de photoshop de Pen'n'Pixel durante finales de la década de los 90. El sello, comandado por Master P, aprovechó el vacío dejado tras las muertes de 2Pac y Notorius BIG y el estancamiento de ambas costas para inundar el mercado y las listas de ventas (Mystikal, Tru, Snoop..) con su característico sonido dirty south y de paso (junto con sus eternos rivales Cash Money), poner New Orleans en el mapa … the tank dont stop !! 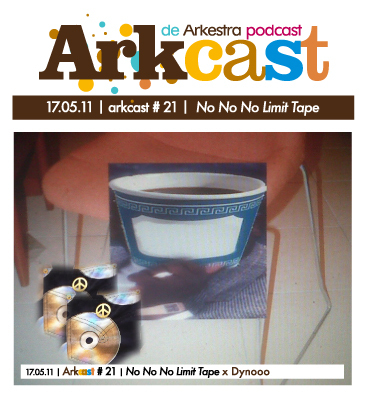 Our friend Dynooo, amazing belgian producer and one of the heads of deconstructionist DIY hip hop label Surf Kill presents this Arkcast tribute mix to No Limit Records, one of the key labels in the popularization of Southern gangsta rap and over saturated collages and photoshop filtered covers by Pen'n'Pixel during the late 90's. The label, led by Master P, took advantage of the gap left after 2Pac and Notorious BIG deaths and the stillness of both coasts to flood the market and the charts (Mystikal, Tru, Snoop ..) with its distinctive dirty south sound and (along with their rivals Cash Money), put New Orleans on the map ... the tank dont stop!